It's been a roller coaster of a week, folks! But for every low, there's been a equal, if not greater than, high. 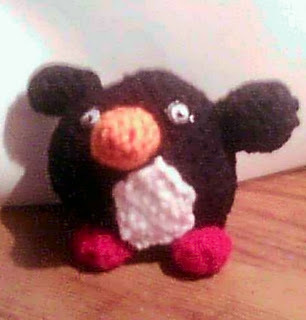 I was blessed with two wonderful testers for my Amiga Penguin pattern. Thank you, Kathy B and MsBhaven! 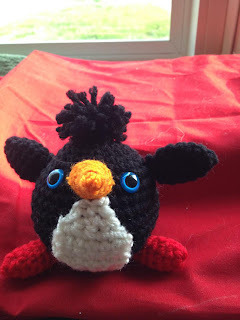 "ok so Marjoriecrochets penguin pattern inspired me I kept seeing angry birds when I was testing her pattern this is Marjorie's pattern all the way the difference is I dropped the last row of the beak on her pattern and I made only one wing and dropped the last row of it as well and made it the tail. I did not adjust the body at all." I'm working away at some new patterns. 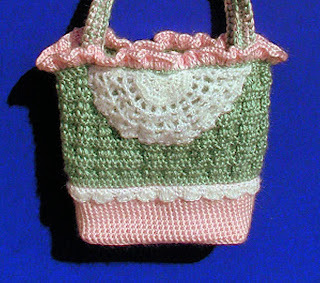 One that I've focused on this week is my Abagayle Purse. I originally wrote this wa-a-a-y back in 2008, but put it away and didn't do anything with it until now. I'm experiencing a temporary yarn shortage at the moment, so in order to transcribe my funny short hand into standard crochet terms, I had to use size 10 thread to test my directions. What do you think? Would you crochet something like this? I'll be posting the free pattern in a day or two. 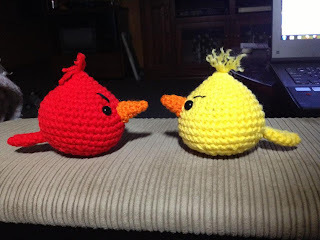 I'd love to do the pattern but not in thread. You have more patience than I do. It is really a lovely purse. 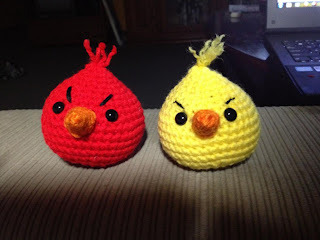 The pattern is meant to be made in ww yarn, I just don't have enough of the right colors to make one in yarn, so made do with thread to see if my stitch counts, etc., were correct.